I don't really look like the woman in blue above, but I have been in that exact situation ! 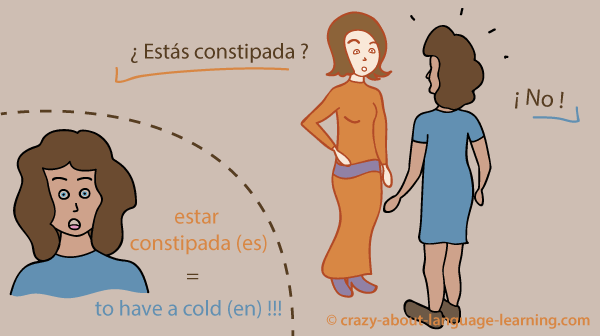 I live in Spain and the vet of my dog asked me if I was “constipada”. Just imagine my shock ! I answered that no, I wasn't, and then, of course, felt quite irritated at myself for having answered. Then the vet explained to me she was really only asking about my nose … I don't remember how my nose was that day, but I for sure remember that particular visit as much as my dog … Hopefully, learning a language doesn't always happen this way. Here is my experience as a humble polyglot juggling with languages. Instead of keeping trying to translate the expression that comes to you in the wrong language, just remember how to say ‘yes' in the language in which you're looking for your words. This trick debugged my neurones once or twice. I invite you to try ! 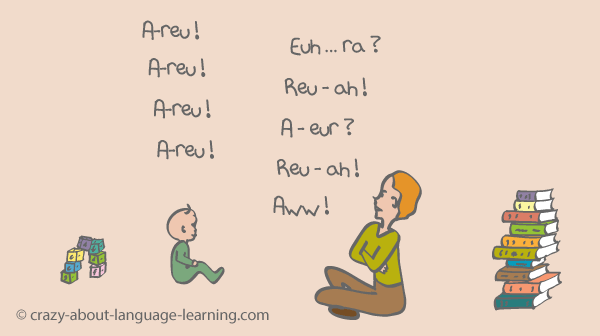 As far as learning several languages (not speaking them), I encountered bumps on the road on the two following specific occasions. A few years ago, I followed the Rosetta Stone language method for both Latin and Spanish. This method is really great and I recommend it to you (I am not an affiliate of them). The difficulty that I encountered is that this method uses almost exactly the same words and images for all languages. 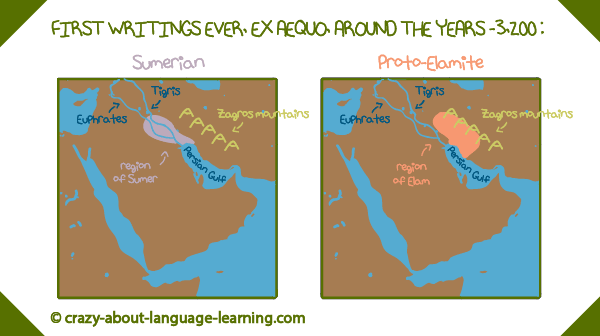 So, if you don't want to be mixing them all as I did, I advise that you use Rosetta Stone for only one language. Choose wisely ! Look at the sheet I lately had to write so as to put my ideas back into place about the formal and informal forms of ‘you' in Norwegian, German, Portuguese, Rumanian, Spanish and French. I had just seen the formal form of ‘you' for several persons in German (Sie, third person of the plural) and I didn't know what person to use to conjugate the formal form in Portuguese. To address several persons formally, did I need to use the second or the third person of the plural ? Couldn't remember. Sketching that little memo above allowed me to conclude that there is in fact only in Rumanian that people get formally addressed as in French with the second person of the plural. 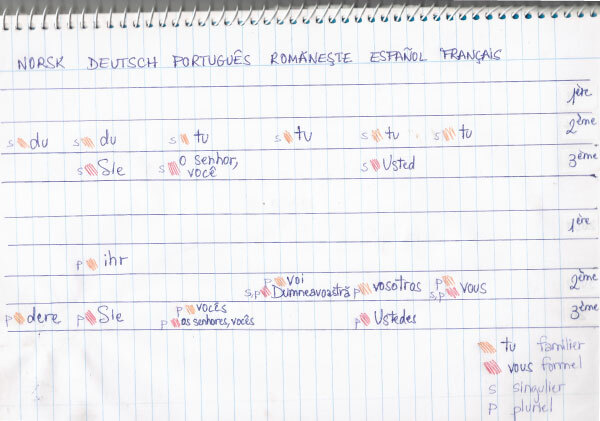 German, Portuguese and Spanish use the third person plural. Do I have it all good or not ? In summary, it seems to me that when we try to speak in another language, the change from one to the other is not that difficult. A word may want to come back to us only in the first language or an expression may not want to let itself be translated word for word as we would wish, but these hesitations don't last very long. When we learn different languages at the same time, there are a few bumps on the road to avoid like a same method that messes with our memory, but in this case too, I feel that the difficulties are not enormous nor lasting. What do you think ? Do I have it all good or not ? What is your personal experience ? Even if we speak “only” one foreign language, it's possible to mix it up before finding the rhythm. What's your opinion ?